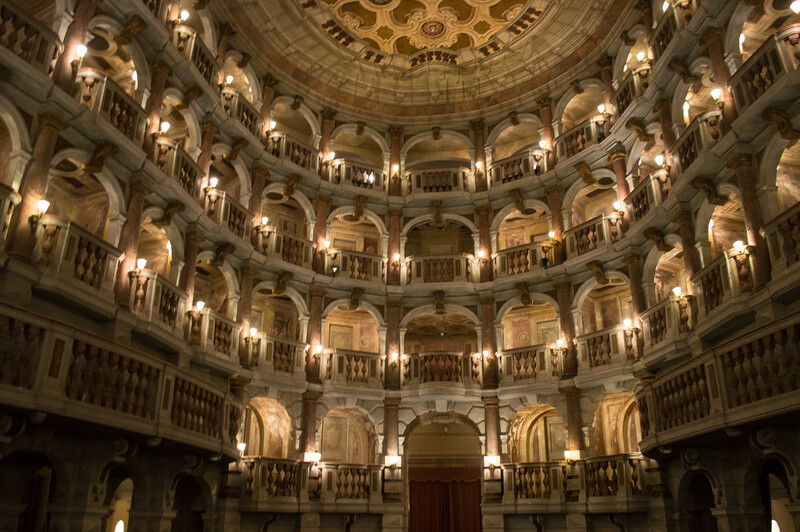 A XVII century theater where even the 14 year-old Mozart played. Junko @jyokota is posting the ceiling of the theater, while this is the view from the stage. S-T-U-N-N-I-N-G capture, Caterina!!! Shows off the splendor of the building so well. Great picture! It's so interesting to see the building from your two different POVs! Wonderful shot! Love the lighting and the repetition. Wow this is stunning! Fav and following! What a stunning building and beautifully captured. WOW!!!!!!!!! Instant fav Brilliant capture. Beautiful tones. Totally awe-inspiring and incredible. I'm lost for words. Wonderful capture of an impressive building. Wow - what history and what atmosphere. I really like the soft lighting in this photo. It glows golden! This really pop's on black. Love how you composed it and that the focus is a bit off center. That is absolutely glorious. I hope you won't mind going back there, if I ever make it for a visit. I'm assuming it's handheld, but it's wonderfully well composed too. In the spirit of the venue, I can only say, "Bravo! Bravo!"